New Year's - every day. 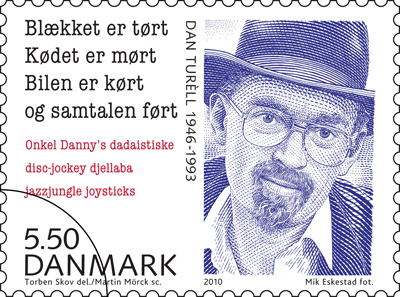 with music by Carl Nielsen now on Internet, with nodes and selected texts in Danish. But ALL TEXTS are translated to English and can be seen for free! 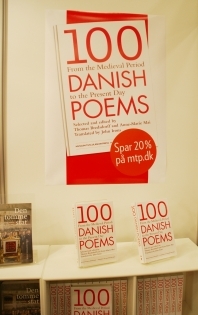 of Carl Nielsens songs PDF - in fact the biggest anthology ever with Danish songs in English (296)!! 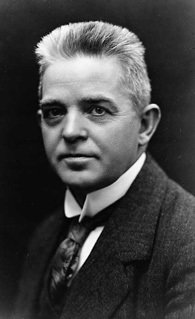 Music scores of all Carl Nielsen's works are available for free download. Also find introductions to his works and see what manuscript and printed sources are extant. I have written this poem Hydra for Project Equinox 1996 on the day of the equinox. PROJECT EQUINOX(tm) is promoting World Peace Through Poetry in the Greatest Poetry Writing Event in History! A hard day told in a strange language. help me to forget it sometimes. than chief Seattle and his tribe. but to me he still has his head on his shoulders. but the child will grow. but in the shop they are French, Spanish or from Belgium. and the language is still in my ear, this is our America. that an old friend Erik is dead at 12 oclock. the tongue of our mothers, with tears in our eyes. this is my day, this is my head. and the residential suburb, itself a forest. like smoke from fireplaces in the village. following the tremendous bangs and glorious star domes. to Noahs Ark with a green branch. and he did not like it. made of wood, as my grandfather made them. and the headskarf bound under her chin. the cattle and the horse in the field. a stone fence with flowers. a thatched roof and a white chimney. To the right a tree, bad painted but with symbolic values. Danish Folk Songs in English and Danish in a bilingual edition illustrated by artist Sonia Brandes. 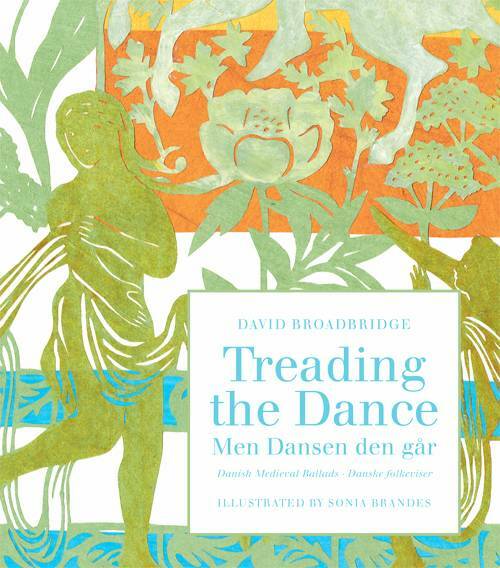 The book includes a total of 33 folk songs, selected and translated by the English poet and teacher David Broadbridge, on the basis of the material in Svend Grundtvig's big ballad collection DGF . The collection provides a rich introduction by the translator to the ballad universe. 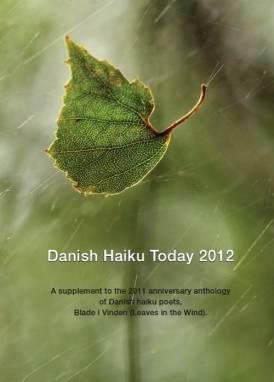 A supplement to the 2011 anniversary anthology of Danish haiku poets, Blade i Vinden (Leaves in the Wind). At a Danish library you can find what they think is outdated books for no money. For this one five Danish 'kroner'! 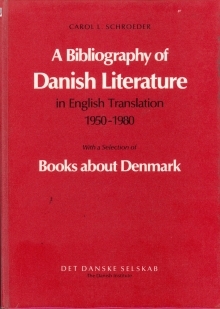 Carol L. Schroeder: A Bibliography of Danish Literature in English Translation 1950 - 1980. With a Selection of Books about Denmark. 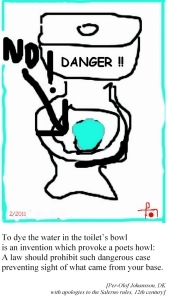 Det Danske Selskab 1982. ISBN 87-7429-044-4. You can find a lot of poetry mentioned in this volume.